In past posts, we’ve highlighted some of the industries that currently use plastic materials, including the semiconductor, aerospace, marine, and urban planning industries. In this post, we take a look at how the construction industry is using plastic materials and why. 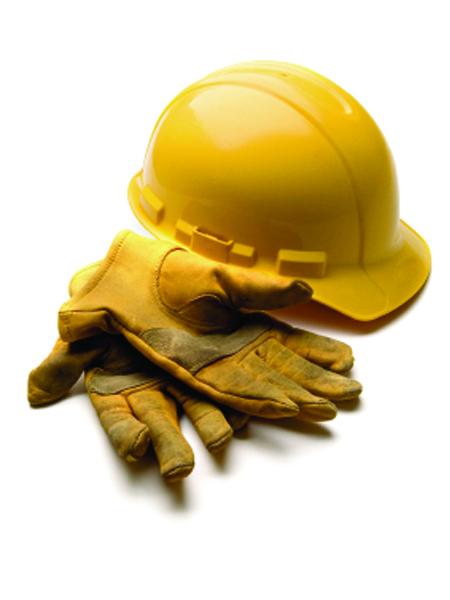 Many construction companies are using plastic materials. The components used include everything from plastic screws and hinges to bigger plastic parts that are used in decoration, electric wiring, flooring, wall covering, water proofing and so on. Many plastic materials are as strong as if not stronger than certain metals. Plastic hardware is also frequently corrosion resistant, allowing it to survive outside in inclement weather indefinitely. As is the case in most industries these days, cost is an important factor in any construction project. Many plastic materials are very economical. Unlike metals, some plastics can be recycled without losing any chemical properties and hence can be used over and over again. Plastic consumes less heat than metal. The insulating effects of some plastics can also decrease sound pollution level. Plastic materials are typically much lighter than metals. The lightness of the material makes it easier to carry and lift into place. A while back we posted about an FRP bridge that was installed in just a few days. The lightweight of plastic materials allows for quick and easy installation. Plastic materials like polyvinyl chloride (PVC) and polyethylene are used to make flooring less prone to wear and tear. It also decreases the sound pollution level and can be cleaned easily. To protect the outer surface of the roof from damage, two layers of different plastic materials are required. The upper part is made of colored thermoplastic olefin or vinyl while the lower part consists of polyurethane foam which consumes less energy and keeps the interior of a house cooler. 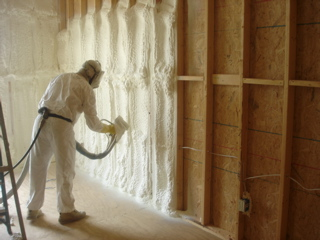 Polyurethane spray is frequently used for insulation when constructing green or low energy buildings. Rigid polyurethane foam is known for its high thermal resistance which promotes temperature consistency. Polyurethane foam is also popular because it is lightweight, chemical resistant, and flame retardant. Due to its closed cell nature, polyurethane insulation performs as an air barrier, resulting in significant energy savings. A structural insulated panel (SIP) is a sandwich of expanded polystyrene amidst two slim layers of oriented strand board. This type of pre-fab, composite wall board can be transferred to the work place easily for a particular task and provide good support to columns and other associated essentials during renovation. Commonly made up of polyvinyl chloride (PVC), CPVC, acrylonitrile butadiene styrene (ABS) or polyethylene, plastic pipes are flexible and very light in weight, making them easy to install. All of these plastic materials are also highly chemical and water resistant, making them suitable for many extreme environments. Polycarbonate is used to manufacture building windows. This plastic material is strong, clear and very light in weight. Polycarbonate windows are considered more burglar-proof than regular glass windows. Two plastics materials, vinyl and fiberglass, are used commonly in the production of window frames. Fiberglass is extremely strong while vinyl is quite durable and also inexpensive. Some construction projects use doors made from a stiff polyurethane foam core with a fiber reinforced plastic (FRP) coating. The sandwich structure of these doors makes them incredibly strong. 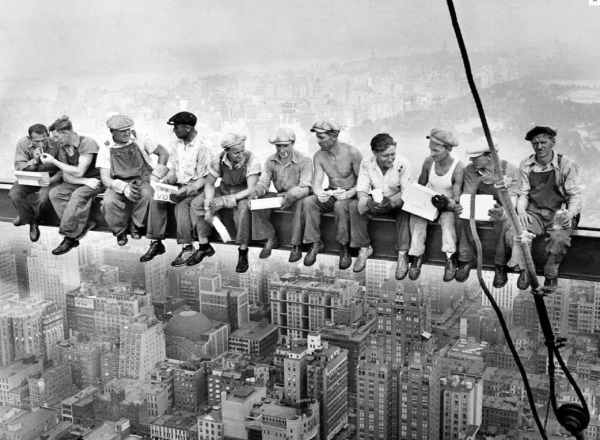 Can you think of any other applications for plastic materials in the construction agency? Let us know in the comments section below. 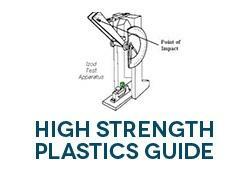 Interesting in learning more about high strength plastics? Download our complimentary guide! We manufacture very small precision components, so are not subject experts on your question. There are many construction products on the market, including composite plastic/sawdust products (see decking). I would suggest searching the internet for plastic construction products and see where it leads you. One thing you’ll want to keep in mind is that some plastics give off toxic fumes when burning. Sorry we couldn’t be of more help.